Balladeer - healing our Planet! By planting organic in all of our lands. And it's great for the health the odd bit of hard toil. And every Spring time brought a magic rebirth. And after the harvest the thrasher would sing. And the animals slept in a straw-warmed bed. And without too much school there was thinking and reason. and roads were much safer for a cycle or walk. GM corporations are the earth making lame. If Nature is beaten, then greed is to blame. We're keeping them out, 'cause we're on to their game. 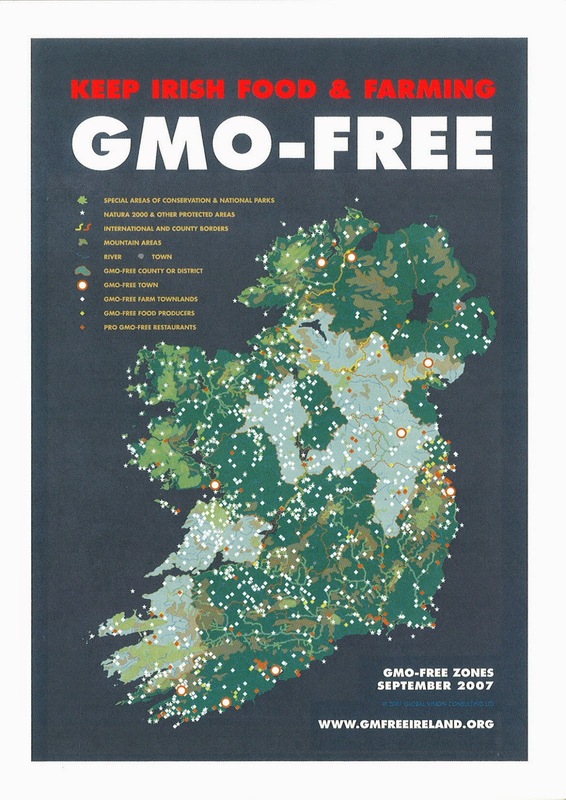 And GM Free Ireland dot ORG is our name. Because the future of food is in all of our hands! The future of food is in all of our hands! An Everyman's Tribute to John B.